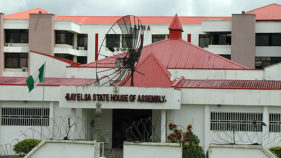 A member of the Ekiti state house of assembly, Michael Adedeji, who was shot in the head by gunmen on Friday is dead. 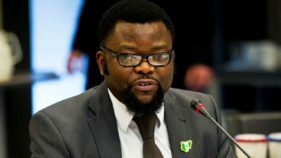 Adedeji, a member of the Peoples Democratic party(PDP), was said to have been allegedly shot in the head while being accosted by gunmen during a trip to Akure, Ondo State capital. 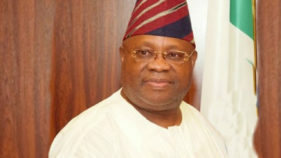 “The lawmaker died at the Federal Medical Center, Ido Ekiti, early this morning,” the state’s party spokesman, Jackson Adebayo said. The deceased was one of the few lawmakers that had strained relationships with former Governor Ayodele Fayose before his exit as the governor. Adedeji, representing Ekiti Southwest II , also participated actively in the removal of the former Speaker and Fayose’s political ally, Hon, Kola Oluwawole a couple of weeks ago. However, Adedeji’s death is coming two weeks after, Moses Adeoye, treasurer of the All Progressives Congress (APC) in the state, was killed at his residence.